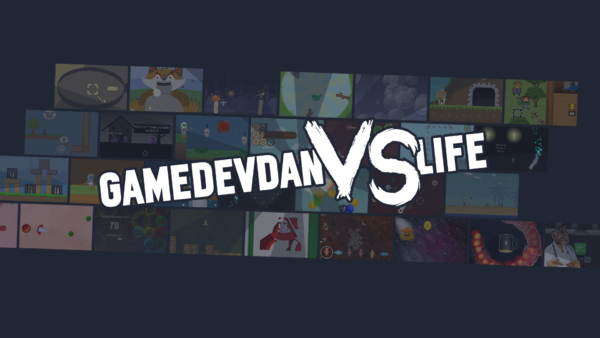 GAMEDEVDANvsLIFE launches onto Steam as a compilation of 50 “Made in GameMaker” games spanning all kinds of genres ranging from: Puzzle, Racing, Arcade, Platformer and Adventure. Dan himself not only co-founded Chequered Ink Ltd, but also worked at YoYo Games for 2 years and learned GameMaker first hand. Check out the development process first hand by seeing how the games evolved over time by setting the sort order in the launcher from Oldest to Newest or start off on the right foot early by sorting Best to Worst; the choice is yours. If you want further details before you dive into the large world of Dan, then stick around as I give my own reviews of what I considered to be the Best and Worst that our favorite GameDev has to offer. 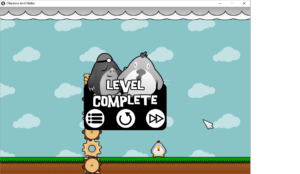 This is perfect for a compilation of this type, you would not want anything flashy or hard to navigate because then your menu itself starts to compete with the games you are trying to present as options and that is just not a good user experience. Well Done. I tried every game Dan had to offer and while I enjoyed more than half, there were a few that really stood out for me. These are not in a strict order as each one was unique and really kept my interest but there was a clear Top Favorite that I do point out. A very addicting puzzle game and while the game is rated at a whopping 1 Star, I thought it was well done and had some innovative features. 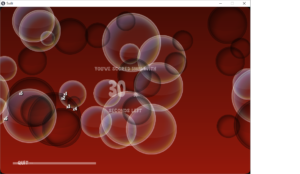 Time Attack mode for example, is not what you would normally think in that you are not trying to get the best “Time” but instead it is a survival mode where your time continually ticks down unless you pop the clear bubbles. I found this twist to be both enjoyable and exciting. A game about freeing poor chickens and moles that are caught in cages is definitely something that ranks near the top of my list and other people agreed as it is rated at 4 stars; but there was more to it than just being the right thing to do. The cause and effect relationships in this game were perfectly setup and really shows that GameMaker can handle any complex chain of state, whether it was the “Move Only Once” rule or the actions between the objects themselves like fans blowing the cages across the screen. Also a big note, if you do play this do not forget: Kitties can Double Jump! 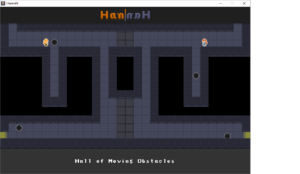 Hannah is a brilliant game with great use of views and input controls. A true masterpiece of a puzzle game with a good story. Don’t just take my word for it either, coming in at 4 stars and won 2nd place in GMC Jam 2017, this game is nothing short of quality. I won’t give away any spoilers on this one, you just have to play it to truly understand the depth of programming that went on here. Yes, this exclusive game that only appears on GAMEDEVDANvsLIFE also happens to be the game I had the most fun playing. 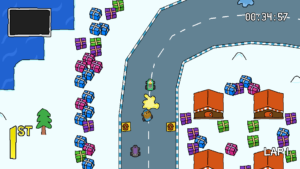 The controls are great for playing with a keyboard and there are so many different things that can happen during a race that you are kept on your toes the entire time. 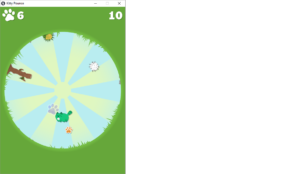 The power-ups are varied and work perfectly: Bee’s find nearest target, Speed Boosts make you fast, Punching Glove punches directly behind you and so much more. And of course my top reason for loving this game: You can play as Chicken and Mole! Everything about this game is great. 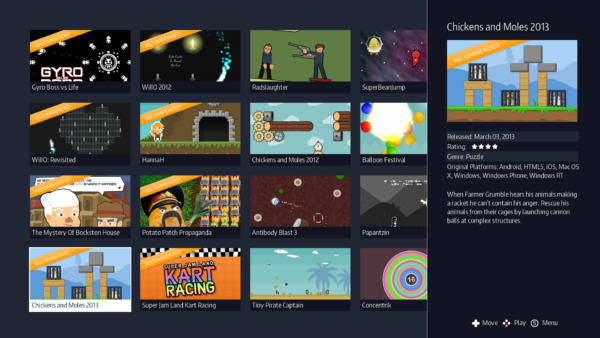 Overall, I had great fun playing all the games and even spotted a few tricks I can implement in my own games, which is one of the main reasons I love playing games made in GameMaker. Congratulations to GameDevDan, you made some great games over the years and are clearly only getting better and better.